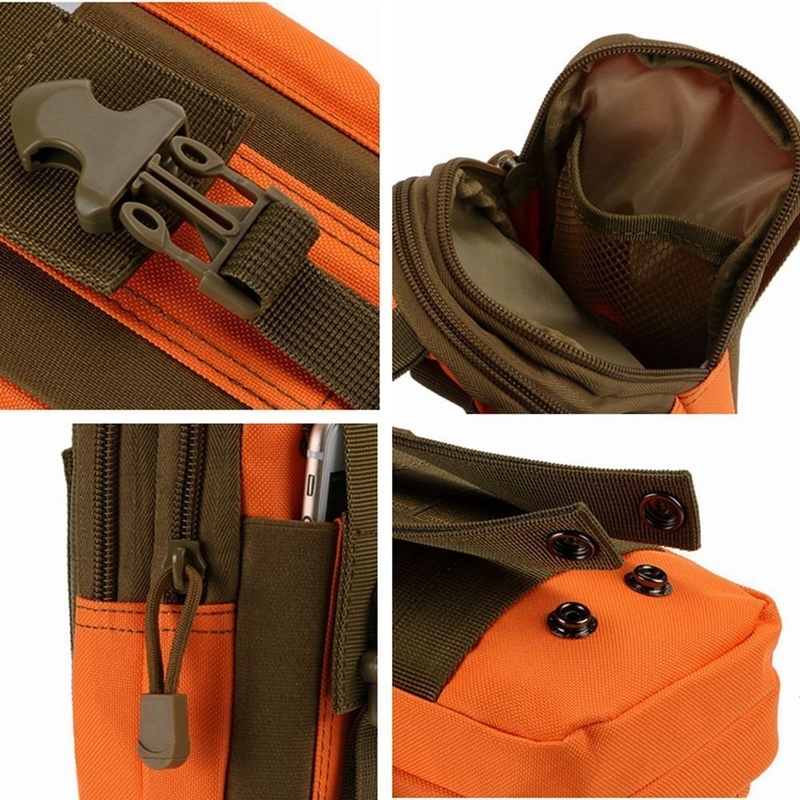 1) Keep your hand free while you are camping, hunting or traveling. 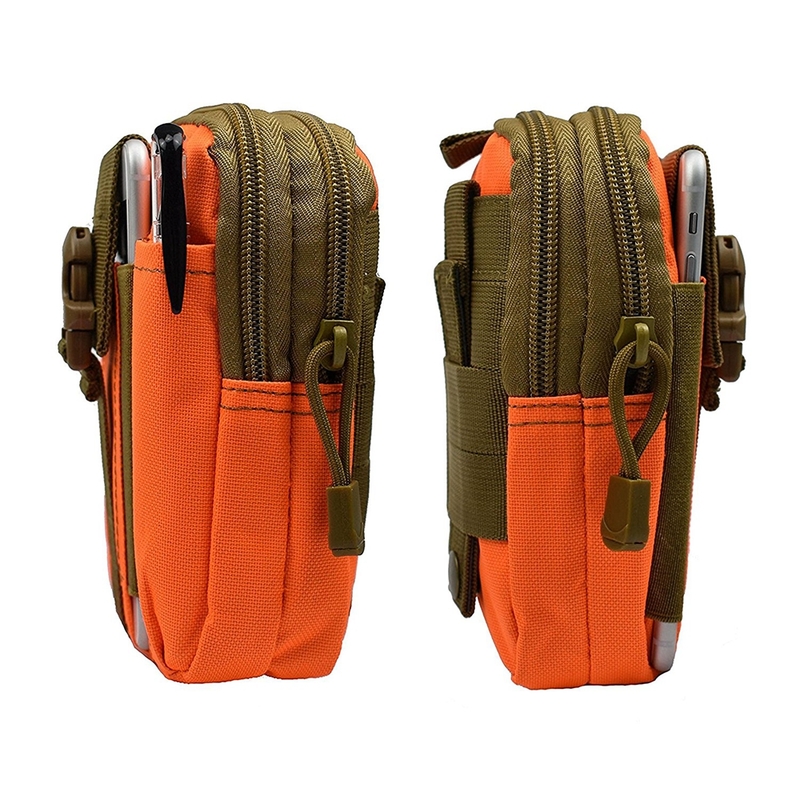 3) Great for tactical,military personnel,campers,hikers,fisherman,outdoor sport, students,etc. 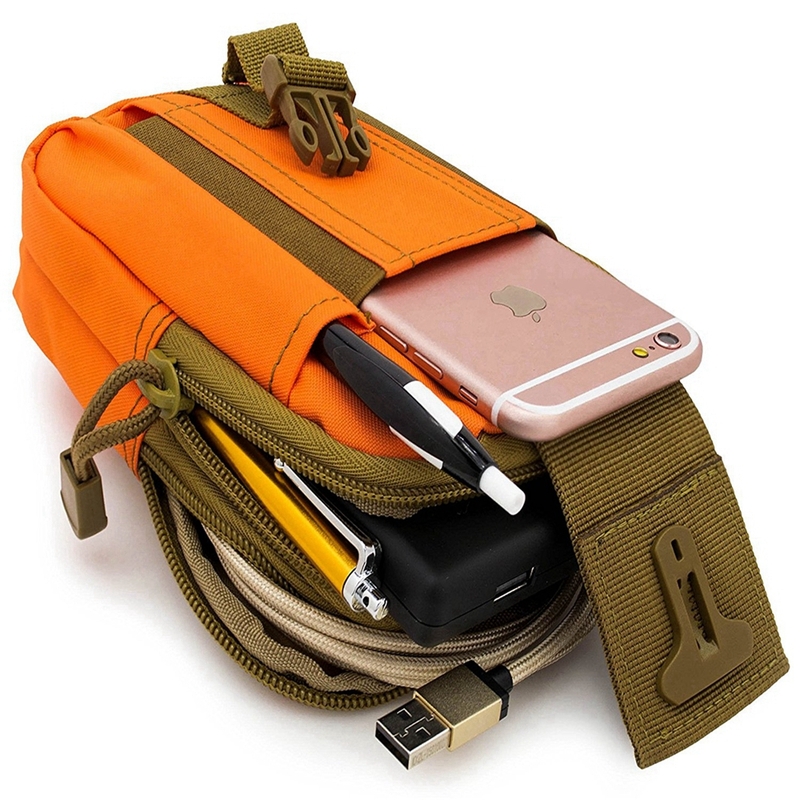 4) Can take in mobile phone,tool,notebook,pen,key,coin,etc. 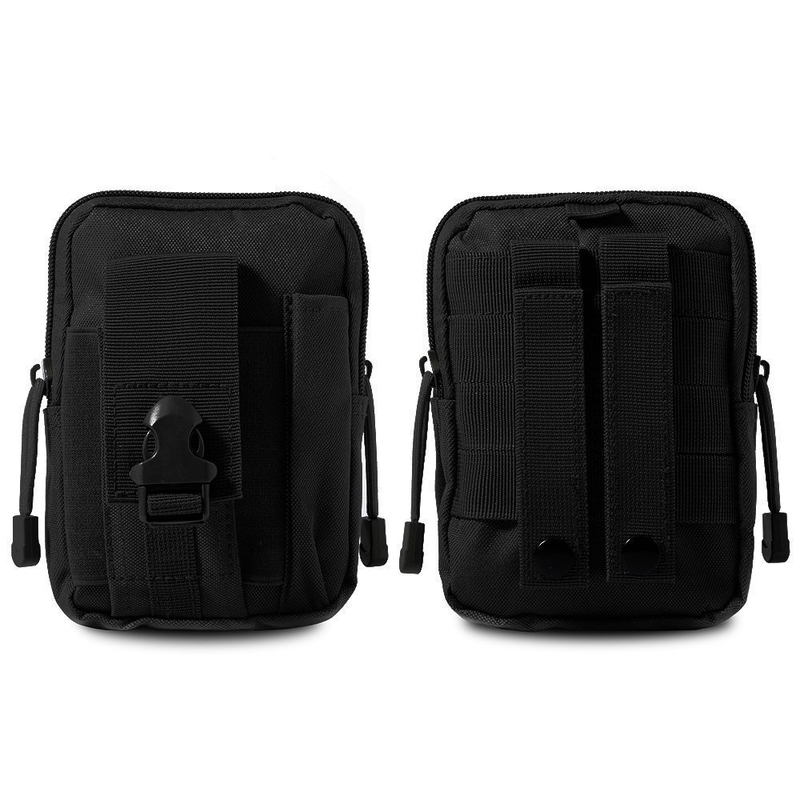 1.This EDC everyday carry can be used with other molle military tactical bag, backpack etc. 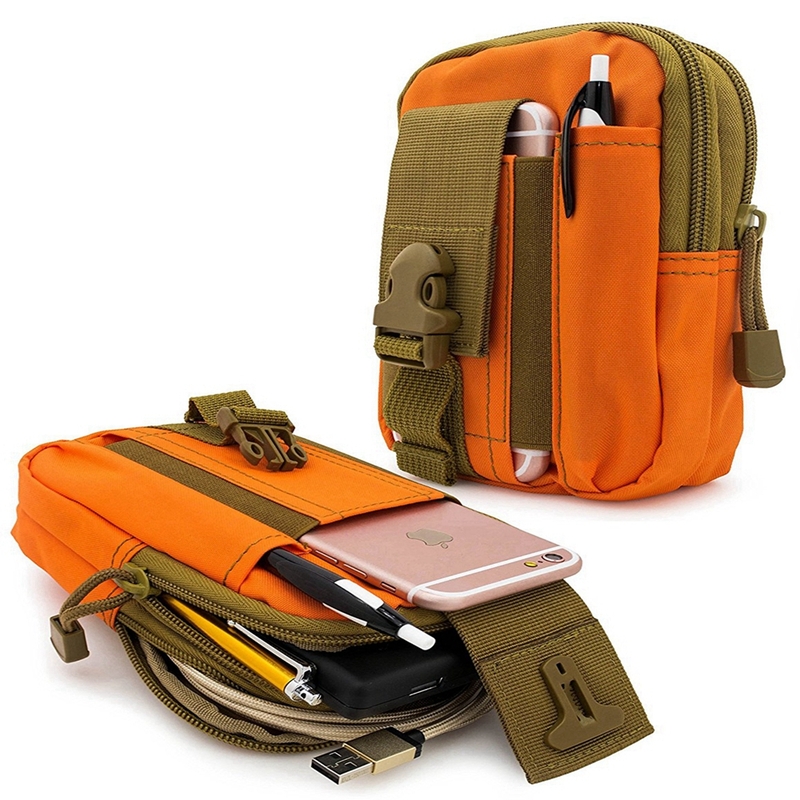 2.Compact EDC pouch tool waist bag is perfect for wallet, iPhone 6 plus, samsung, pen, tool and power bank etc. 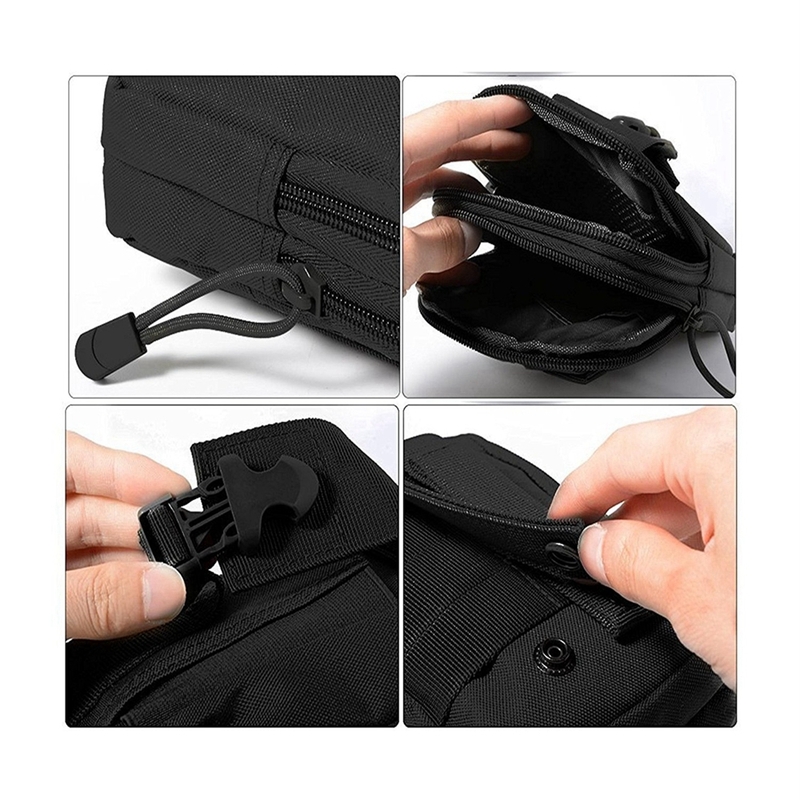 3.1000 denier nylon fabric, waterproof, wear resisting and lightweight. 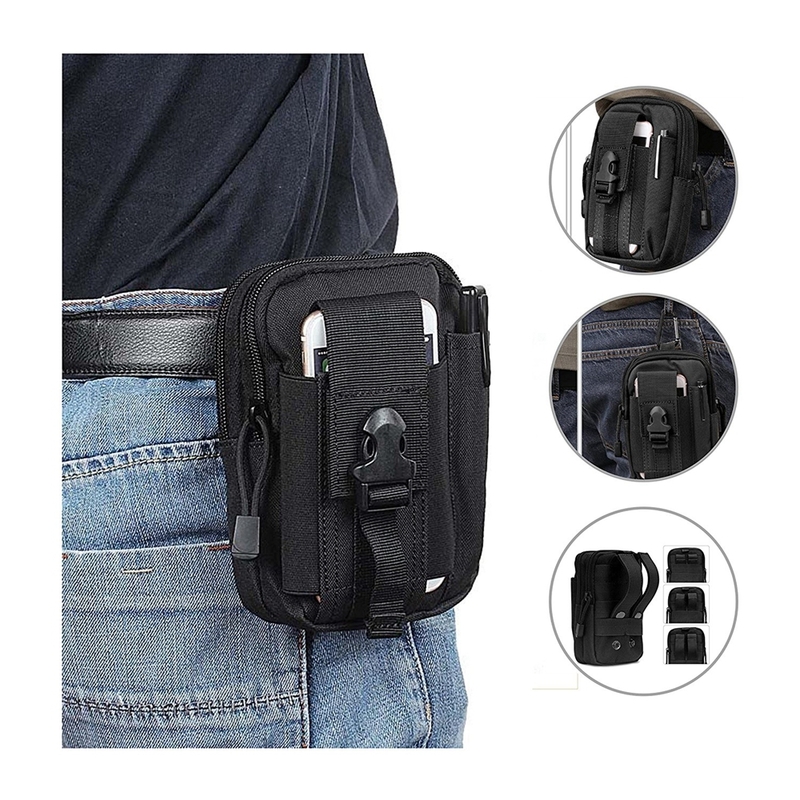 4.This molle pouch is a great organizer for big screen smart phone, camera, key, wallet, pen, knife, notebook, small tool, small accessories, and even can be a holster. 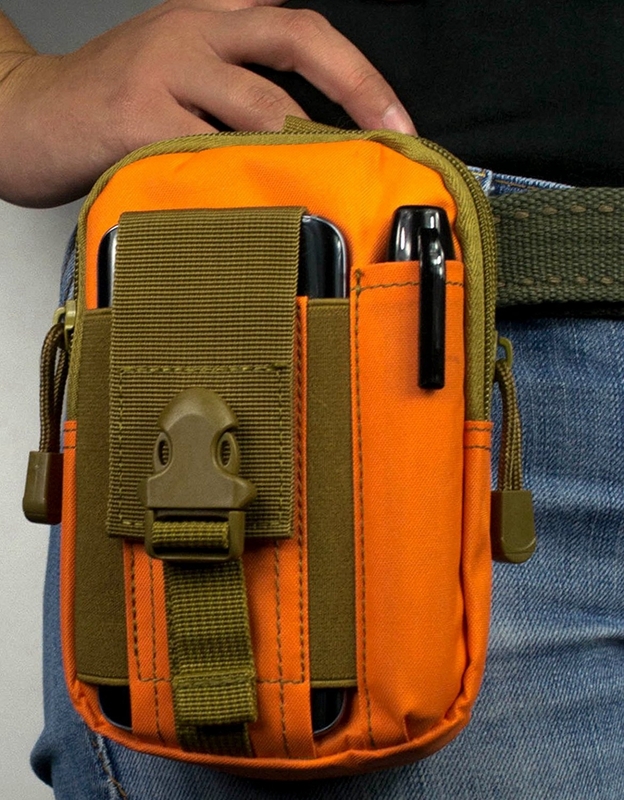 5.It's a ideal molle bag, tactical waist bag or gadget pouch. 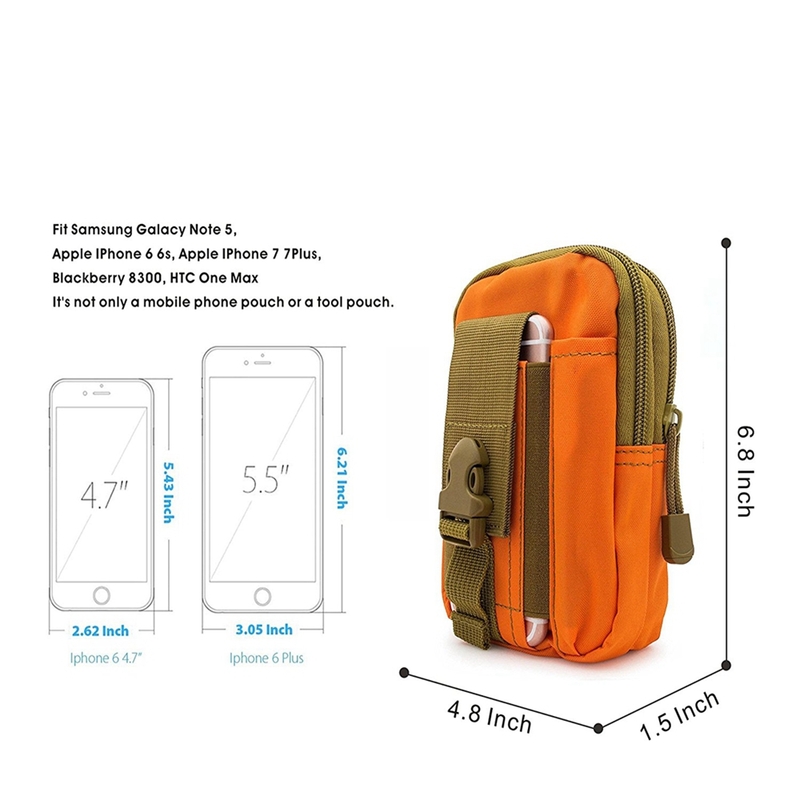 6.Inside the bag are two large zippered compartments for other items, such as a wallet, second phone, portable battery charger, sunglasses, and other items durable material with pad keeps your cellphone and other electronic devices safe and protected. 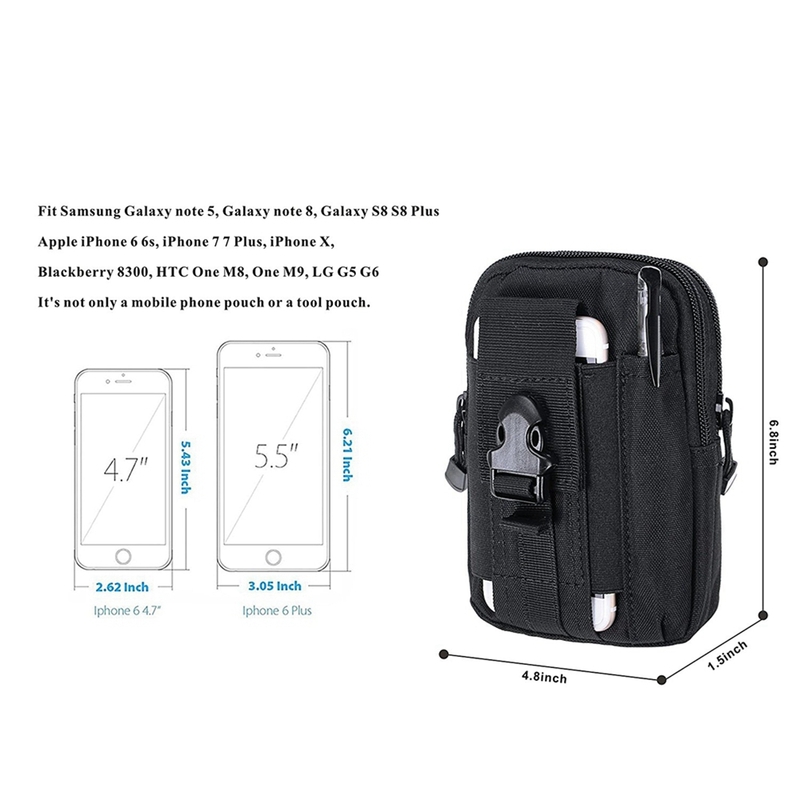 7.It is indeed an excellent product.